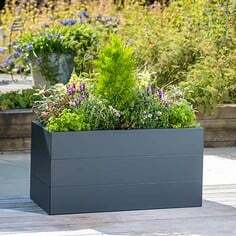 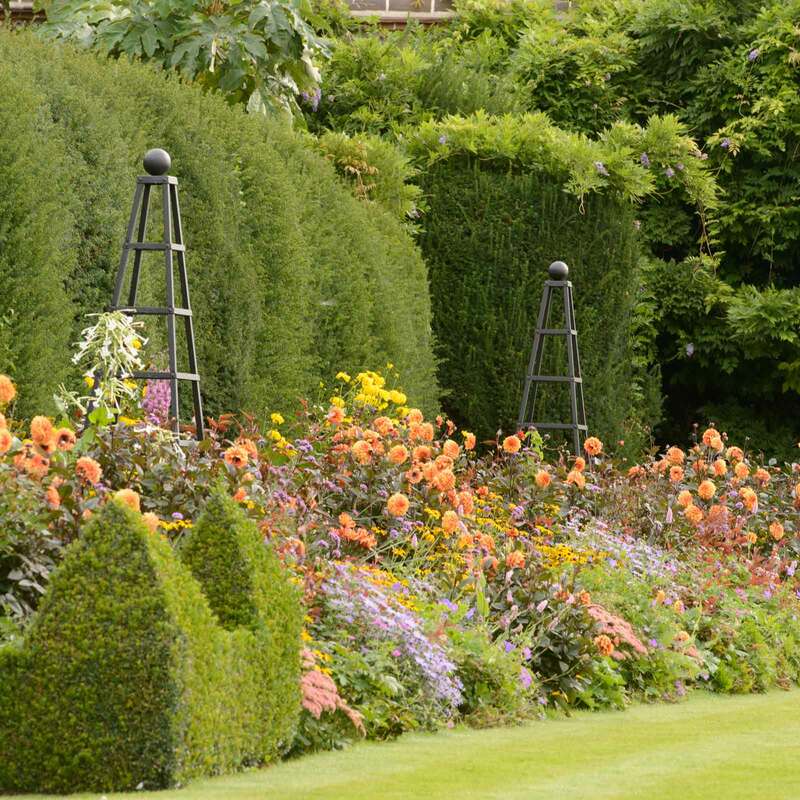 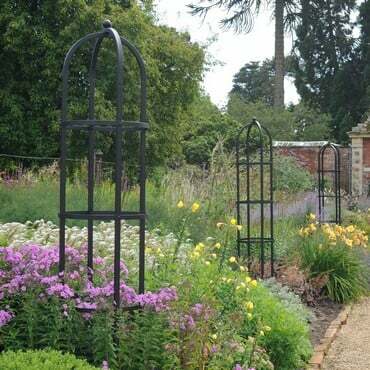 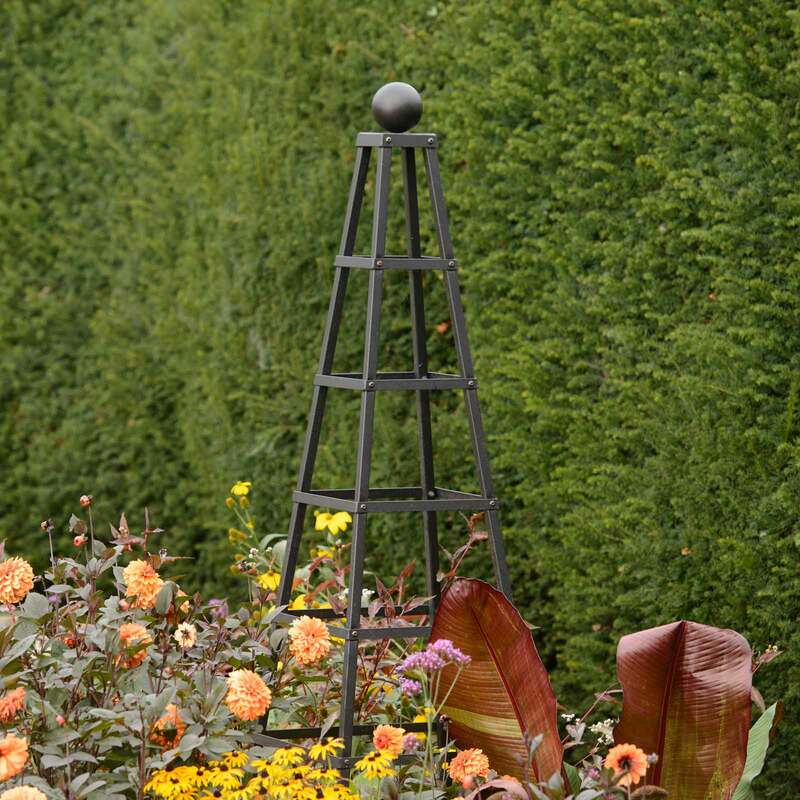 The Steel Grand Pyramid Obelisk in Matt Black has been designed to create real impact in the garden, standing at 2.5m high this impressive obelisk plant support is perfect for climbing plants. Designed following requests from our customers for a larger garden obelisk, the grand obelisk is RHS Endorsed and comes with a 10 Year Framework Guarantee. 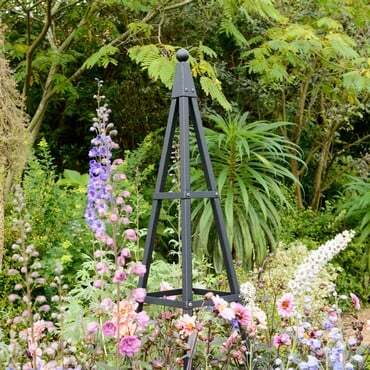 The obelisk framework is made from 25mm square steel framework, sourced from the UK and galvanised inside and out. The obelisk is then high temperature powder coated Matt Black for a maintenance free, weatherproof finish. 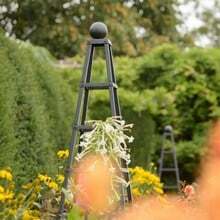 The obelisks have been designed with real attention to detail, even the fixings have been chemically blackened to keep them discrete. 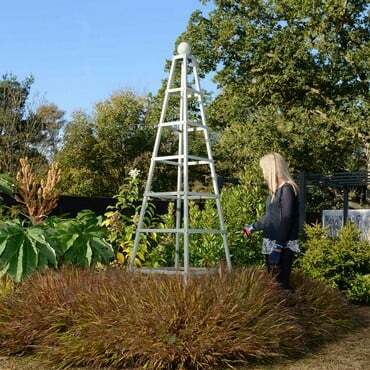 The Grand Pyramid Obelisk measures 0.77m square at the base and stands 2.5m tall. 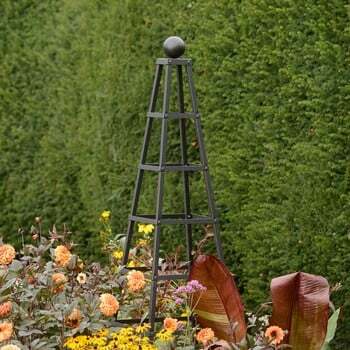 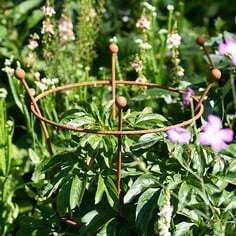 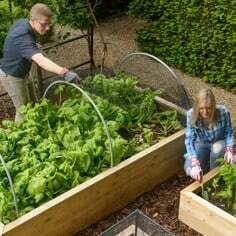 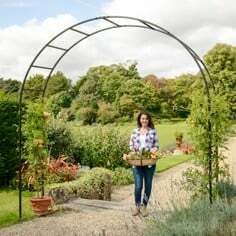 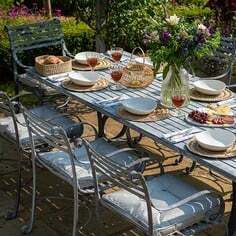 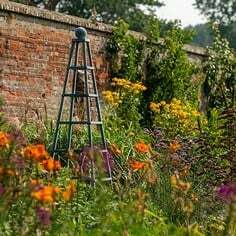 These obelisks are very heavy and stable and do not require ground anchoring making them suitable for use on the patio or other hardstanding areas. 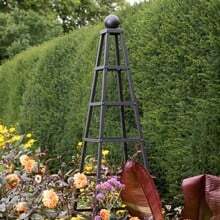 Ideal for a range of climbing plants, the Grand Pyramid Obelisk in Matt Black will become a stunning focal point in your garden. 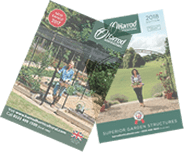 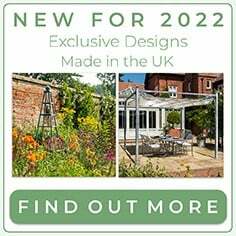 New for 2018 - the Harrod Horticultural Grand Pyramid Obelisk standing at an impressive 2.5m high in lichen green or black and the large Trumpet Wire Obelisk in black or rust at 1.8m high creates a real garden impact.